Beyond the Screen: Hopewell — Spruce Rd. Ever since seeing a baby quilt a friend of mine made (impressive… right?!? ), I have kept my eye out for beautiful quilts. 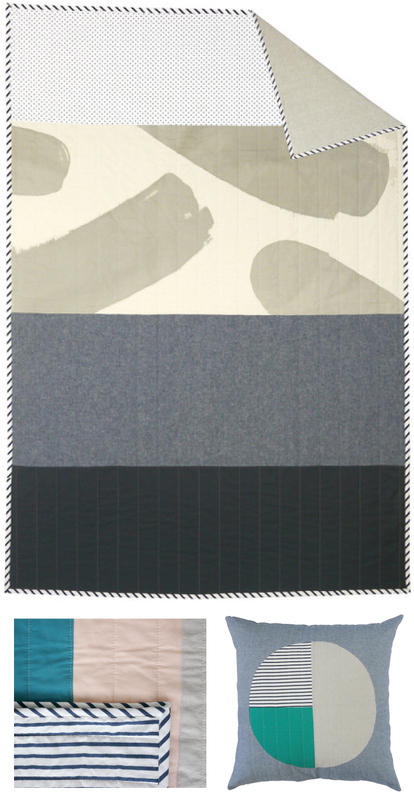 I stumbled upon these gorgeously modern quilts by Hopewell. I love the refreshing color pallets, geometric patterns and bold blocks of color. Check out more of their beautiful textiles here!